Nike, the global sportswear giant, on Tuesday launched some magic shoes that will automatically loosen or tighten when you step into them, and then adapt based on your activity. 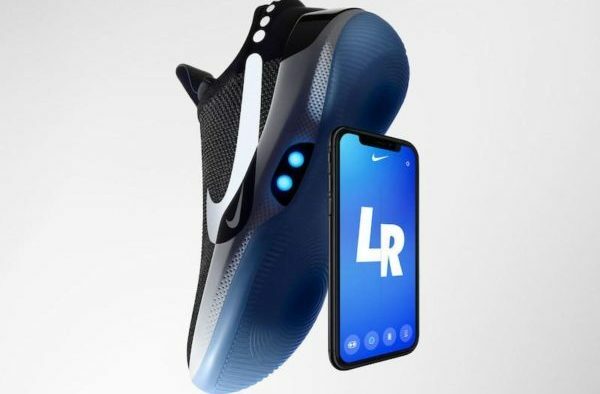 Wait for it — the Nike Adapt BB shoes, which go on sale on February 17 for $350 in the United States, are controlled by the touch of a button or a smartphone app. “We picked basketball as the first sport for Nike Adapt intentionally because of the demands that athletes put on their shoes,” Eric Avar, Nike VP creative director of innovation, said in a statement. Using a custom motor and gear train, “Adapt” technology enables the shoe to be automatically adjusted to the foot. The app allows the player to load in different fit preferences — for example, game play versus a timeout. Boston Celtics forward Jayson Tatum is the first pitchman for the new shoe. “That the app allows the ability to put the shoe on and touch the button, change the colors, see the percentage on the battery…it’s just cool,” Tatum said in a statement. Nike says it plans to bring the system to shoes for other sports.